My image today is an older one but taken under pretty similar conditions. It's very cold out today and the birds are quite enjoying the bird seed from the feeder and water from the heated bird bath I have provided. 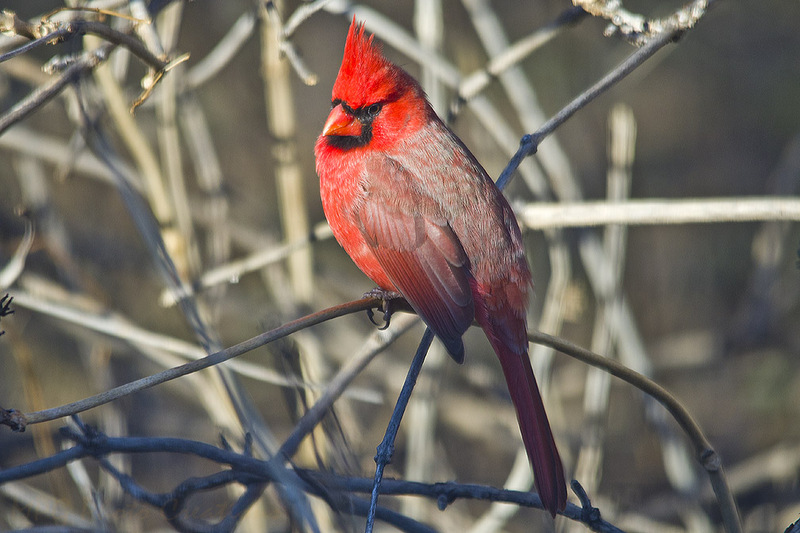 I got an image of this male Cardinal on a day like today when it stopped to sit after feeding. I love their pop of color in the bare trees.